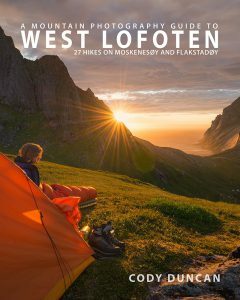 When is the best time to visit Lofoten? A question I am frequently asked and see posted on travel forums across the internet. To be direct and to the point, there is no such thing as the best time to visit. However, there are certainly better times to travel to the islands, depending on a multitude of variables beyond just the possibilities of good or bad weather. Before deciding on when to visit Lofoten, you first need to ask yourself why you are visiting Lofoten and what you hope to see and do while here. Is your goal to hike as many peaks as possible while wild camping? Is the midnight sun important to you? Are you hoping just to see the northern lights? Do you want to photograph snow covered mountains rising from the sea while standing on icy beaches? Do you want a real winter feeling of being in the arctic, with mountains glowing pink in the short days? 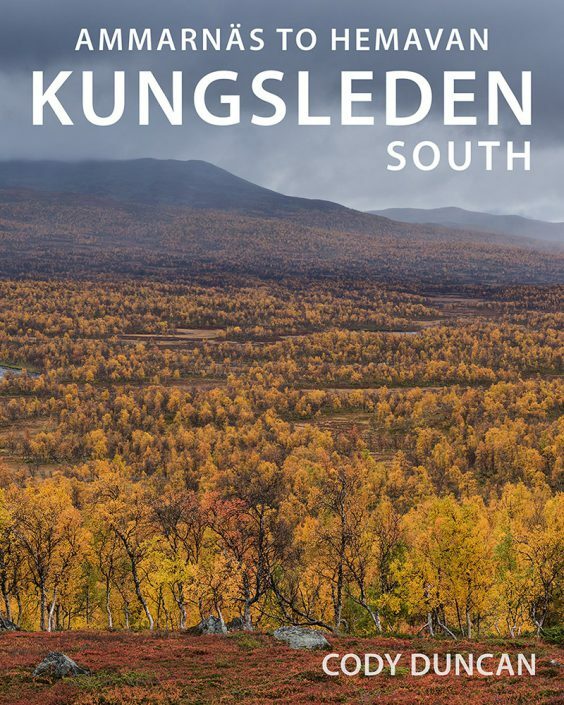 All these questions and a dozen more should have some influence on your trip planning and can make the difference between July 1 – 10, if you specifically want to see the midnight sun or August 20 – 30, if you want to avoid the height summer crowds in the mountains. If hiking is your goal, then traveling before mid June is not the best, as many of the inland mountain areas can keep significant amounts of snow. If you want to see the northern lights, while still having good opportunities for hiking, then September is a good month. If you want to photograph the northern lights with snowy mountains, then anytime between mid January to late March will work. That being said, for a first visit and initial introduction to Lofoten at its liveliest, summer is by far the best time to go. And more specifically, July or August will be your best chance of good weather, long, endless days, and all tourism related business in full operation – kayaking, biking, fishing, etc. Go hike up a mountain or walk along a beach at midnight and watch the sun hover over the sea, or sit by a campfire at 2am under a blue sky. The endless ‘day’ of summer can also be a bit surreal and you will quickly lose track of time and days; time becomes of secondary importance. The only thing you won’t be doing much of is sleeping. When visiting in the height of summer, you also need to be aware that tens of thousands of other people also have the same idea! On a sunny July afternoon the parking lot to Kvalvika beach will be overflowing (with the police now writing tickets to illegally parked cars), and the ferries to Bunes beach will be filled to capacity and require multiple trips. Accommodation across the Islands will have been booked up months in advance, so if you want to have the flexibility to casually show up and find a cozy rorbu at the last minute, July is not the month for you. The atmospheric scenes of winter have been drawing photographers north in growing numbers over the last few years. Combined with the increasing popularity of the northern lights tourism, which is just starting to reach Lofoten, this traditionally quiet time of year on Lofoten is becoming more and more popular. For the real feeling of being north of the arctic circle I like the moody, short days of mid to late January; a time when the sun still hangs low on the horizon and the few hours of daylight are filled with one long transition from sunrise to sunset. By mid February, however, the Islands begin to lose this arctic feeling and the days begin to feel like a normal winter day further south on the continent. However, the benefit of this is that you now have much more time to go out and explore. In March, the Islands are still in full winter mode, but the days are now becoming long, making this a popular month for skiing and other mountain activities. So, even after deciding that you want to go in winter, when you go in winter still makes a bit difference to the appearance of feeling of the Islands. 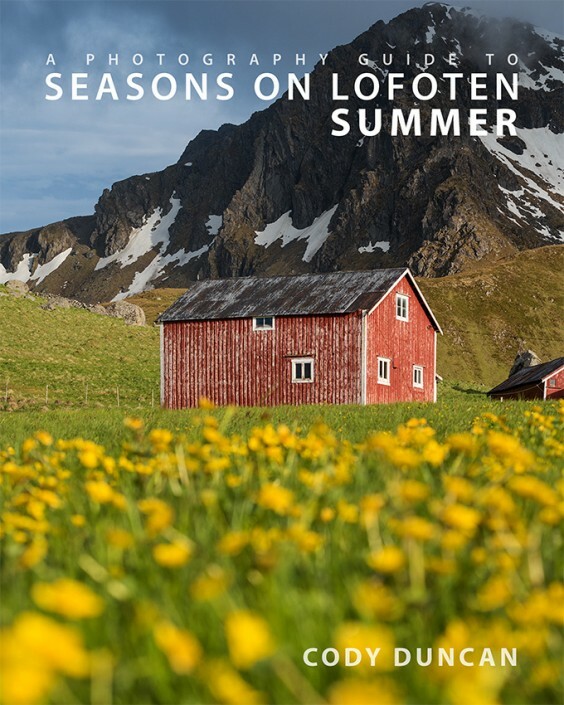 I hope you can see how many potential variables there are when planning a visit to Lofoten and that it is difficult to objectively say if one is better than another: midnight sun and snowy mountains of late may or midnight sun and flowery hillsides of early July? Bright autumn trees and northern lights of late September, short moody days, snowy mountains and northern lights of mid January, or long winter days, snowy mountains and northern lights of late March? These are all unique moments on Lofoten, all different, but none the less, equally amazing. On the seasons page, I provide a more detailed break down on the individual seasons and what you can expect. However, most anything regarding the weather can only be spoken about in generalities and overall trends. May can have more snow than February and July more rain than September. Some winters are cold and calm while others are generally warm and stormy. One summer might seem to have endless 20˚C days, while temperatures will struggle to reach the mid teens the next year. Unfortunately, it is only pure luck if you end up with a week of blue sky or a week of rain. When not to go. 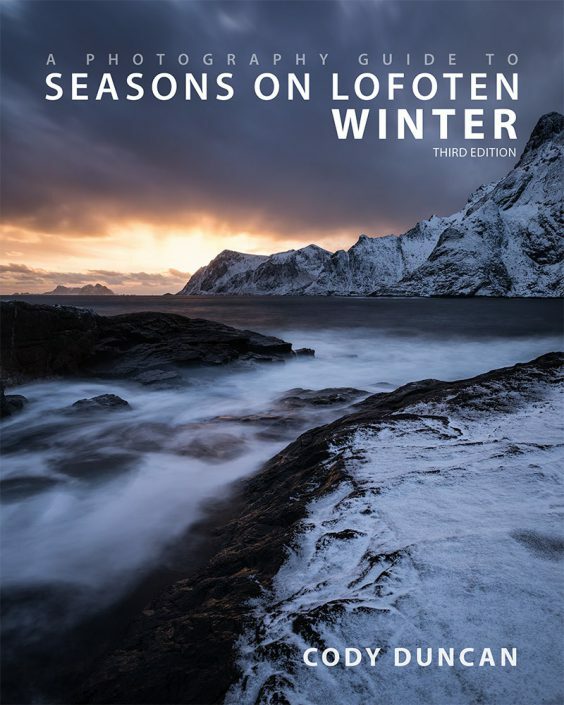 While it is impossible to predict when the good weather will arrive, there are also periods on Lofoten when bad weather is the dominant trend; this is particularly true during the transition from autumn into winter at the end of the year: from mid October to early January. With few redeeming factors other than the possibility for northern lights, November is a generally a poor month on Lofoten. Cold, dark, rainy, icy, windy; The chances of running into continually bad conditions during November are very high. 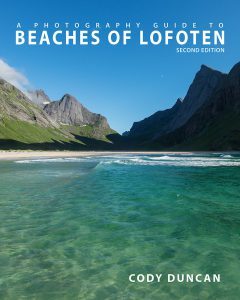 Of course, Lofoten in November is better than no Lofoten at all, just avoid making too many plans on being outdoors.